In 1947, author George Soros emigrated to England from communist-held Hungary, having survived Nazi occupation. As a lonely outsider in London, he ran out of money and vowed never again to reach bottom. Today, George Soros is a legend, a billionaire financier and investor, a philanthropist and chairman of Soros Fund Management Llc. — and he is worried. In the face of the worst credit crisis since the Depression, he postulates a new paradigm for financial markets. The present crisis, he explains, is a result of a “super boom" that has lasted more than a quarter of a century. Both the housing bubble and the “longer-term super bubble" have led the whole financial system to the verge of collapse. Soros claims that the global financial system got into this kind of trouble largely because it is based on a “false and misleading" paradigm. Market participants widely accept the assumption that markets tend towards equilibrium and believe in the incorrect concepts of perfect competition and the possibility of perfect knowledge. Market participants’ understanding of the world is inherently imperfect and leads to biased perceptions that affect prices and their underlying fundamentals. The problem is that the theory of rational expectations does not appropriately address how financial markets function. Contrary to the existing paradigm, the markets are not self-correcting. It is mistaken to compare the structure of social events to the structure of natural phenomena. Consequently, this paradigm must be replaced by one that recognizes that misinterpretations play a key role in history. The new paradigm Soros proposes is based on what he calls the “theory of reflexivity", which attempts to demonstrate the relationship between thinking and reality and is limited to social phenomena. Reflexivity acknowledges that misconceptions are inevitable and that a true understanding of the markets should reflect the impact of misunderstandings. In the current crisis, Soros blames regulatory authorities for permitting the institutions they supervised to take on risks that they, the regulators, could not calculate. He also blames the Fed for failing to regulate the mortgage industry. The new reflexivity paradigm recognizes the fallibility of financial markets and regulatory authorities. They now must regulate credit creation, re-establish control over excess leverage, learn to understand recent innovations and prohibit practices they do not fully comprehend. The public must hold them responsible if they allow an institution to get so out of control that it needs rescuing. This book-length essay provides a crash course in the billionaire investor’s philosophy and view of financial markets, the origins and consequences of the current credit crunch, the boom-bust model and the behaviour of market participants. Soros intersperses his market analysis with enough personal details from his early life and career to keep the book lively. 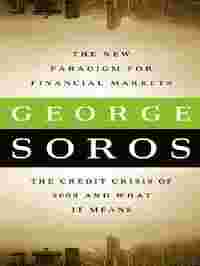 One weakness of the book, other than its repetitiveness as Soros explains his theory, is that he relies heavily on technical and financial jargon, which makes it tough to penetrate and may prove a barrier to some readers. Ironically, he seems to be fully aware of this shortcoming when he writes that readers may find one of his particularly theoretical chapters to be “somewhat repetitive and hard going". Nevertheless, his warm personal voice and the depth of his financial experience, which spans at least half a decade, is hard to match. This book has much to offer executives, investors, and students of financial markets and theory.